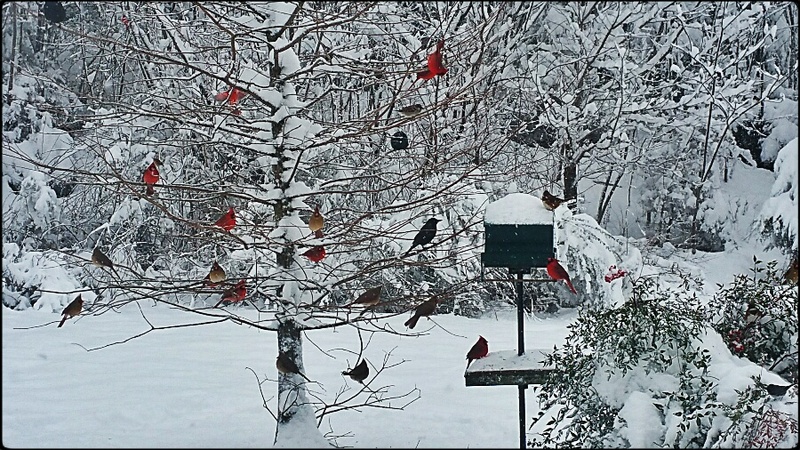 A Tree Full of Cardinals! This is truly amazing. I have seen one or two but never so many. Oh but I miss living in the midwest at winter time, for I loved feeding the birds. The bright scarlet of the cardinals always looked so lovely against the gray white of winter.